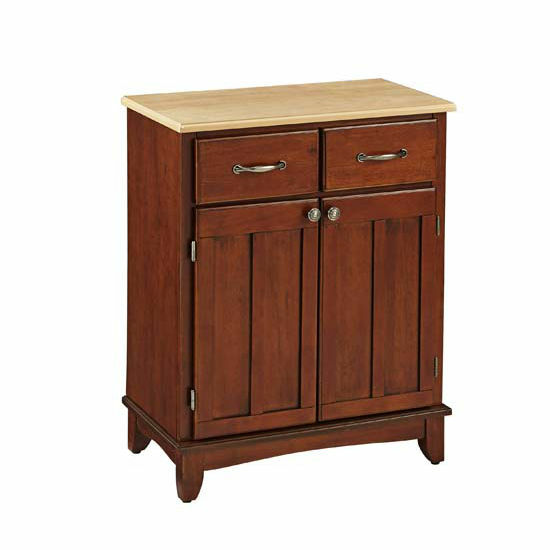 This Mix and Match Buffet Server features a deep Cherry finish and a contrasting Natural top. 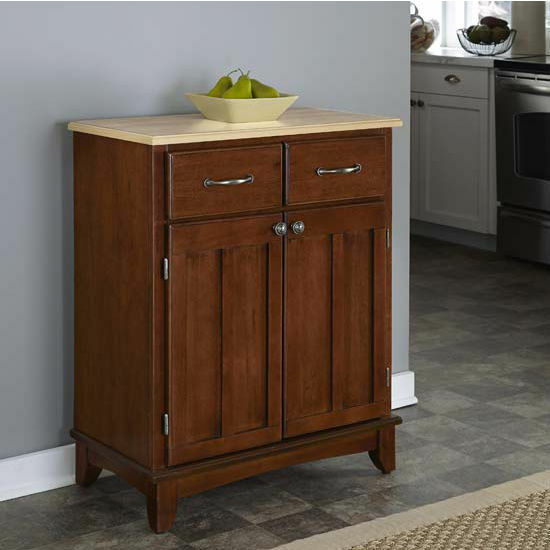 Shaker-style details on the two cabinet doors give the buffet server a classic look. An adjustable shelf behind the cabinet doors offers storage space for cookbooks, dishware, pots and pans or other kitchen items. 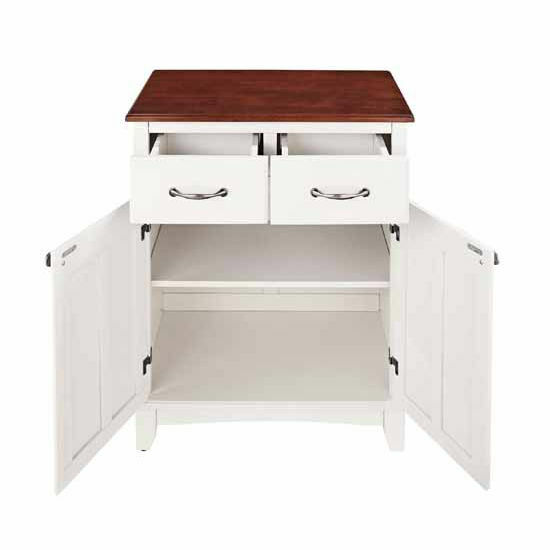 Two utility drawers are perfect for storing flatware or utensils. 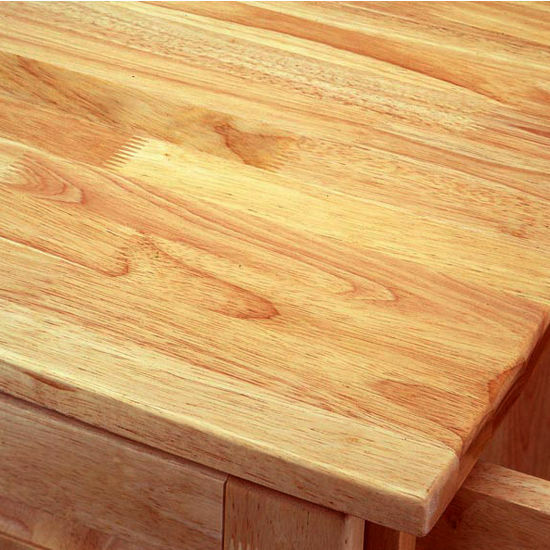 For more storage capacity, try an open or cabinet-style hutch. 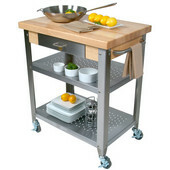 The buffet servers require some assembly and ship via UPS. Instructions need to be clearer.